Detroit’s Dequindre Cut Greenway used to be a busy Grand Trunk Railroad line. Constructed in the 1830s, it served factories along the Detroit River warehouse district. It was sunk below street level in the 1920’s to avoid increasingly congested road traffic. In May 2009, the 2 km (1.3 miles) route was revitalized for pedestrians, runners and cyclists, linking up the Riverfront with Eastern Market. 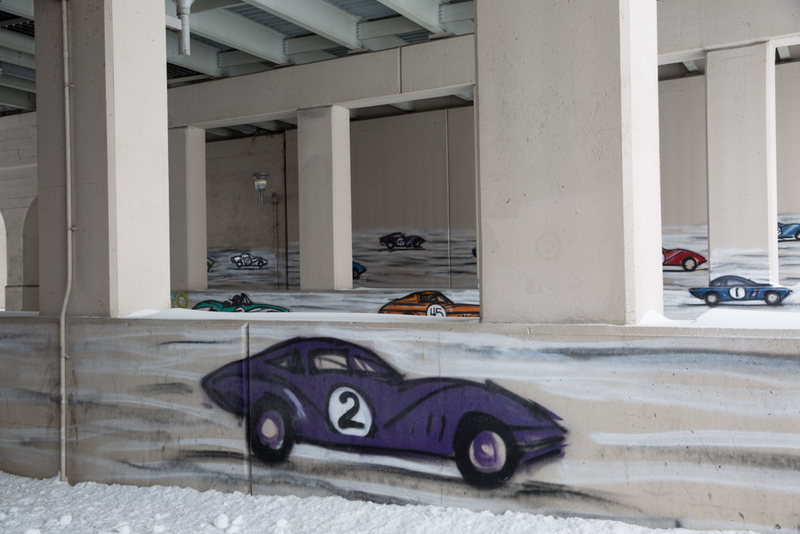 The overpasses at Lafayette Street, Gratiot Avenue, and Woodbridge Street provided weather protected, quiet locations for graffiti artists to come in and spray paint their graphical images. The City of Detroit committed to preserving this art and encouraging new works so long as they weren’t viewed as offensive or obscene and the artists removed all of their spray cans. 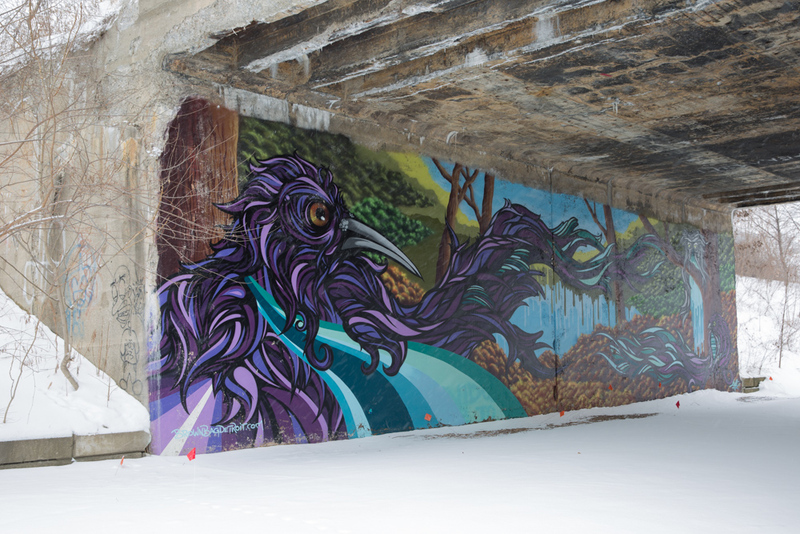 The result is an arterial gallery mainlining some of Detroit’s best urban art. 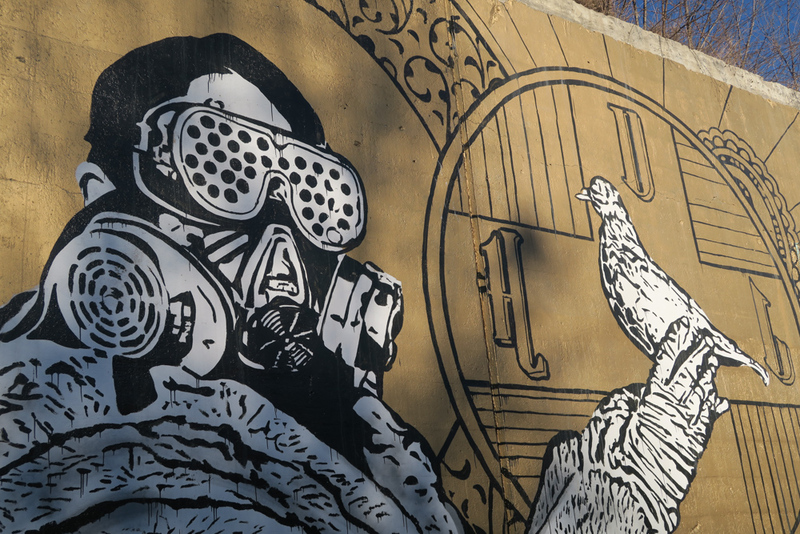 Under the bridges are murals by artists such as MALT (Nature’s Wrath), Mitchell Schorr (Da Race), Fel3000ft and Hygienic Dress League. 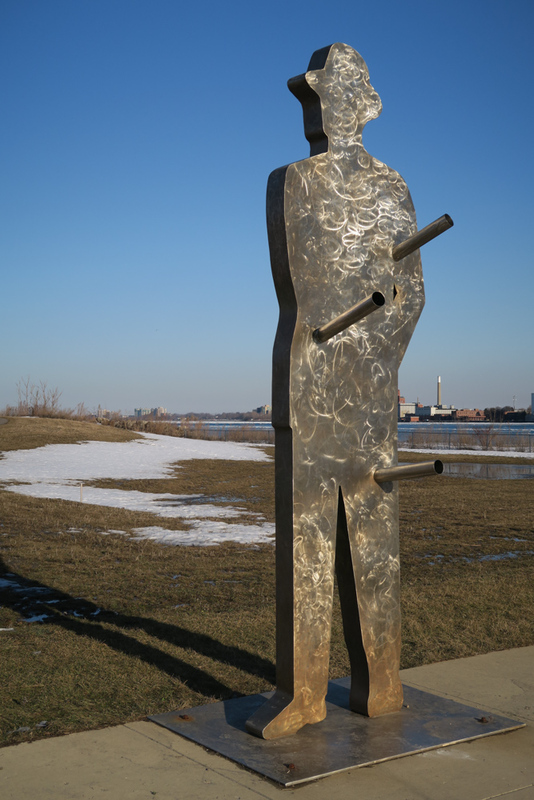 In the River Front Sculpture Park stands one of the three dimensional prices in John Sauvé’s Man in the City series found around Detroit and Windsor, Canada. 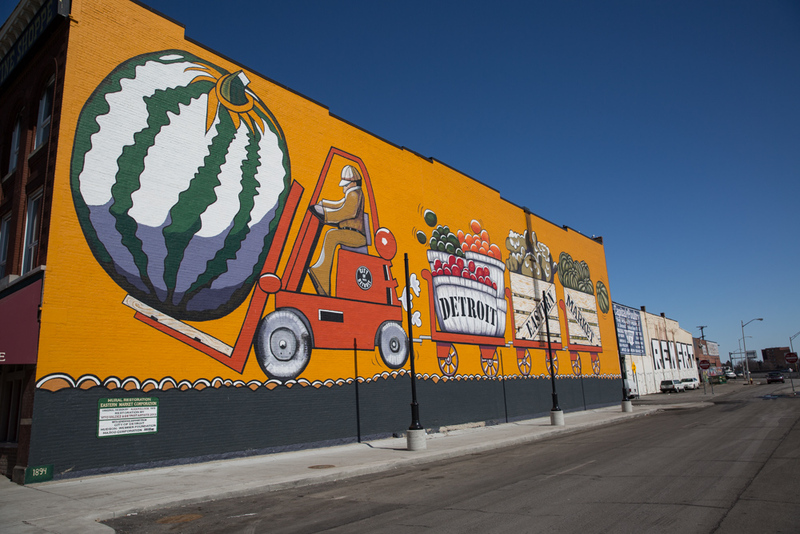 One of Detroit’s earlier street murals is located in Eastern Market. Designed by Alex Pollock and painted by Ed Lee in 1972, it was restored to its former self by Vito Valdez and other artists in 2013.